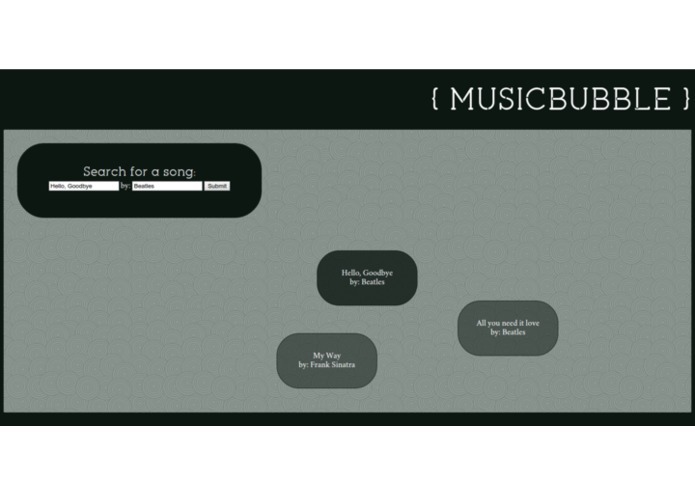 The purpose of MusicBubble is to suggest similar songs using music similarity (e.g. tempo, minor/major scale, key, local harmony information) as well as sentiment analysis scores. 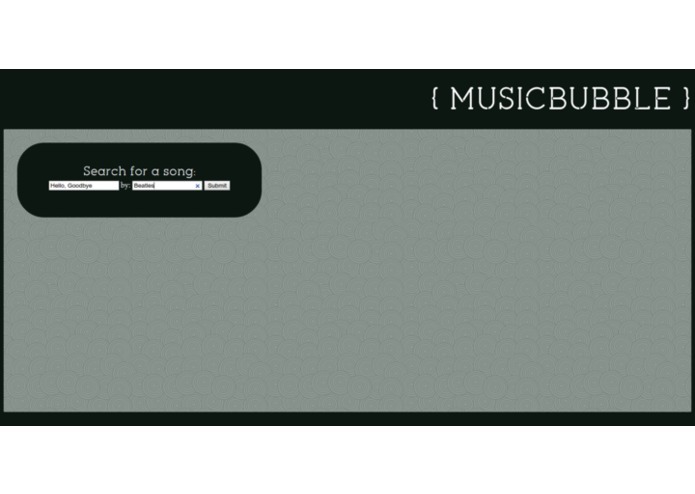 We used a 10000-song subset of the last.fm dataset (from the Million Songs Database) which already included the music similarity scores and then we extracted sentiment analysis scores using the TextBlob python library. For the sentiment analysis we obtain lyrics from AZ-lyrics and feed them to the library to obtain polarity (positive-negative sentiment) and subjectivity scores. 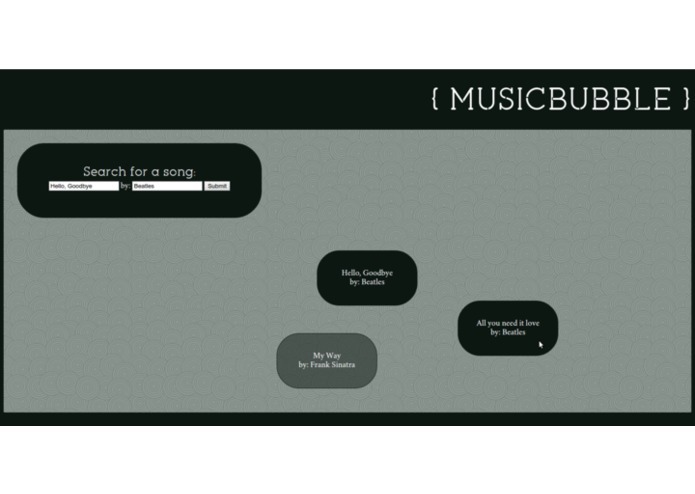 Target users are people who are looking to construct small playlists similar to songs they like. We are especially proud of our simple yet elegant front-end.